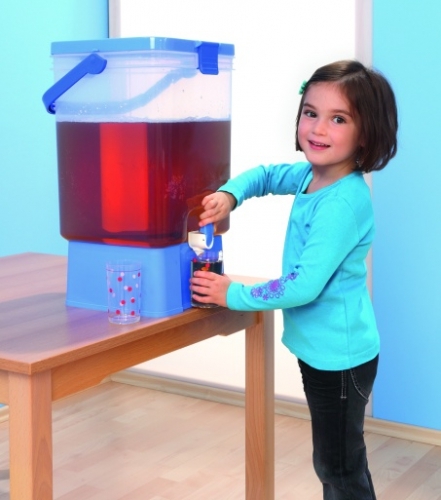 This child friendly drinks dispenser is the perfect tool for children to help themselves when they are thirsty. It is drip proof and has a swing-up carry handle for easy transport. Suitable for everyday use.